​Fulham striker Aleksandar Mitrovic is nearing a £50m move to Chinese Super League side Guangzhou Evergrande, following the Cottagers' relegation from the Premier League. After joining the club permanently last summer, Mitrovic was unable to prevent Fulham from falling right back down to the Championship, and he is now one of many stars linked with a move away from Craven Cottage. 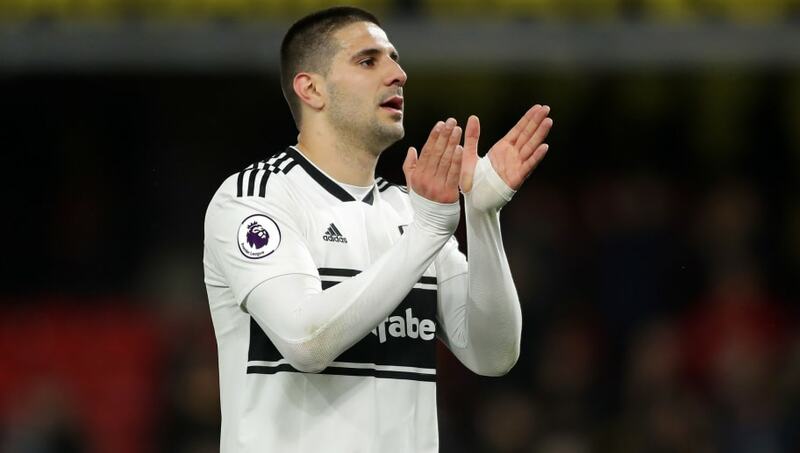 News of the potential move to China comes from ​The Express, who state that Guangzhou Evergrande are ready to hand ​Mitrovic a mammoth £300,000-a-week contract in order to tempt him into the move. There is also interest in the Serb from a number of Premier League sides, including Tottenham Hotspur, Everton and Leicester City, but they have all been put off by Fulham's asking price of £50m. Guangzhou are happy to meet Fulham's valuation of the striker, and they are prepared to offer him such a high wage to ensure that they win the race for Mitrovic's signature. The 24-year-old initially moved to Craven Cottage on loan from ​Newcastle United for the second half of the 2016/17 season, and he instantly transformed Fulham into one of the ​Championship's most exciting sides. He racked up 12 goals in 17 games to fire Fulham to the Premier League, convincing the Cottagers to spend an initial £22m to sign him permanently last summer. Despite Fulham's struggles this season, Mitrovic has enjoyed an impressive campaign. He has managed ten goals and two assists this season, prompting interest from many sides in the division ​including West Ham and Everton. However, they are all not prepared to compete with Guangzhou's financial muscle in the race for Mitrovic, and he now appears set to make the move overseas. Should he join Guangzhou, Mitrovic would join up with the likes of former ​Barcelona and Tottenham midfielder Paulinho, and ex-Everton youngster Tyias Browning.